A bride's bouquet is as unique as she is, so I always love seeing what my brides choose for their big day. 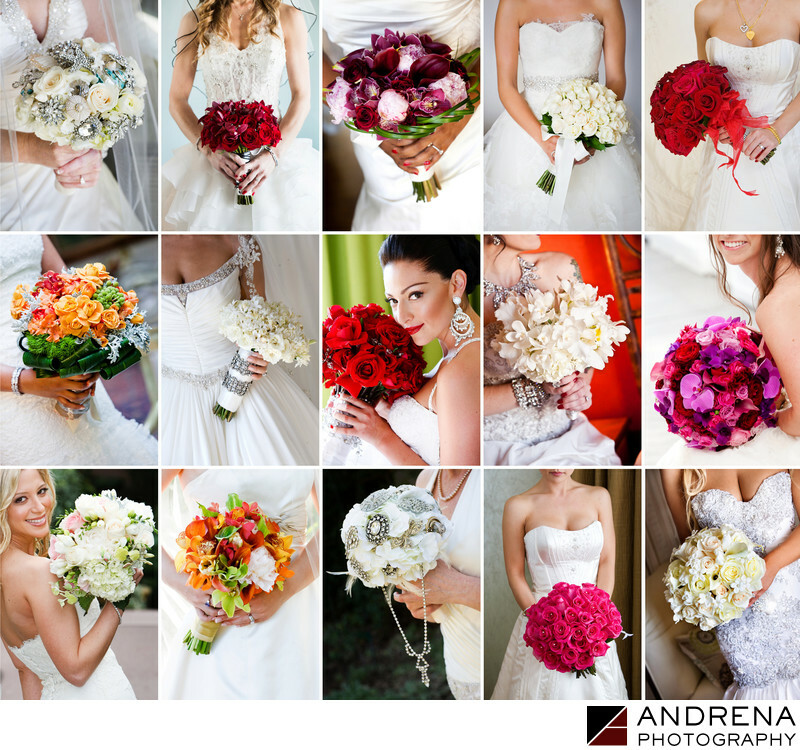 I also love seeing the various ways florists express themselves within a defined color palette, using a bride's favorite flowers. I love the two brides here who used brooches and pins to create vintage-themed bouquets. The bouquet in the upper left makes use of seashells and sea-inspired pins, while the bouquet in the middle of the last row includes vintage pins from the bride's grandmother, aunt, mother and other relatives. My own favorite flowers are peonies, so if I ever have a bridal bouquet, I will probably want peonies.